Some of us have a life-long relationship with swimming – this could be a life-changing experience of recovery, and a return to fitness. It might be the steady upkeep of a healthy mind and body during the course of busy lives. Perhaps adventure or endurance? Some people swim because they like the atmosphere around pools. Some people swim because they can, some people because they must. 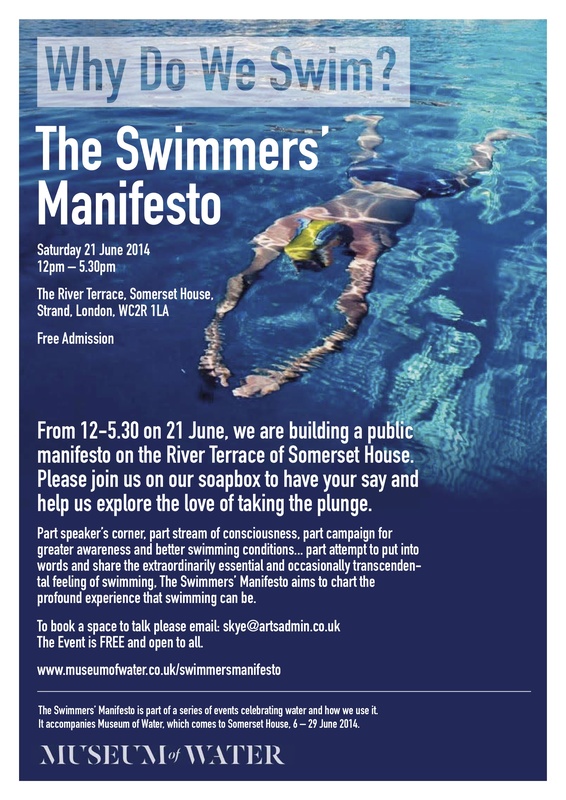 On 21 June, 2014, we will build a public manifesto on the River Terrace of Somerset House, where swimmers will be invited to share their philosophies, experiences and reasons why they swim. Part speaker’s corner, part stream of consciousness, part campaign for greater awareness and better swimming conditions… part attempt to put into words and share the extraordinarily essential and occasionally transcendental feeling of swimming, The Swimmers’ Manifesto will chart the profound experience that swimming can be. 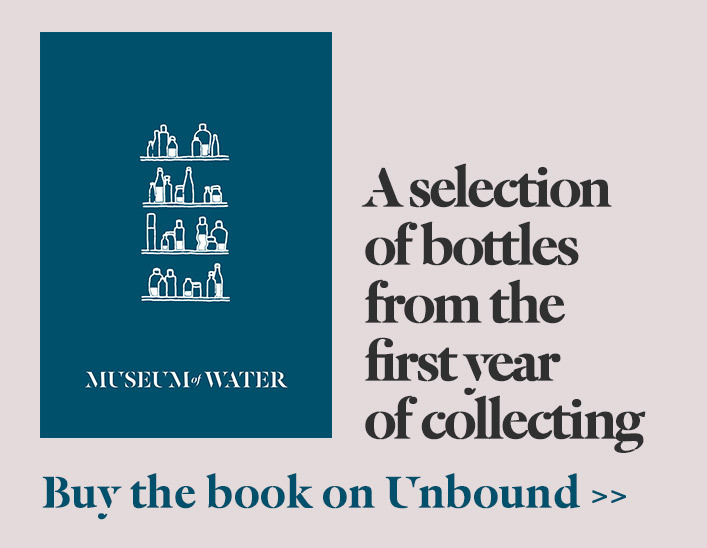 Please join us on our soapbox on the River Terrace at Somerset House to have your say and help us capture the love of taking the plunge. This event is free to watch, take part in, and open to everyone, but if you want to speak, please book time. We are expecting this event to be popular so please book early to avoid disappointment. Speakers are given a maximum of 10 minutes each. Excerpts of The Swimmers’ Manifesto will also be published online. If you cannot attend the event, we would still love to hear from you, and find a way to bring your views into the Manifesto. 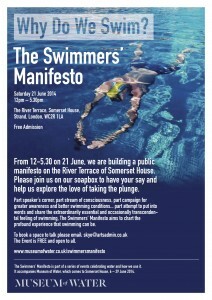 The Swimmers’ Manifesto is part of a series of events celebrating Amy Sharrocks’ Museum of Water.